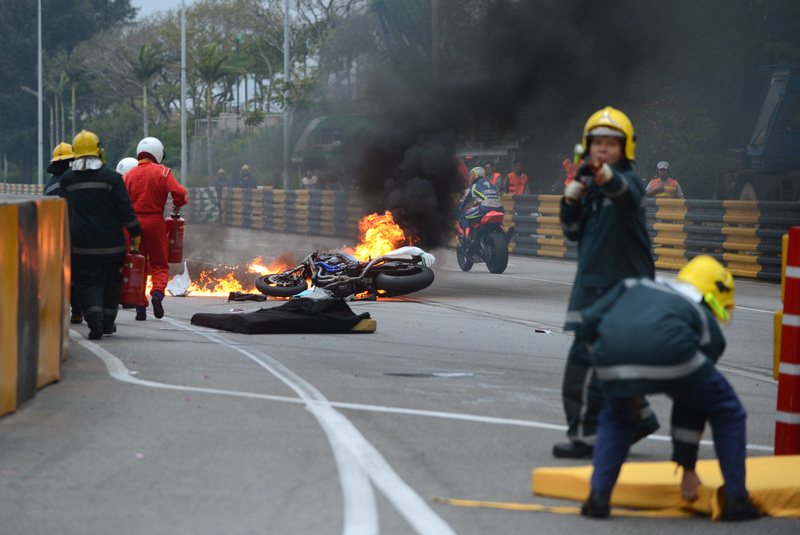 MACAU Race organizers say Portuguese motorcycle rider Luis Filipe de Sousa Carreira has died after a crash during qualifying for the Macau Grand Prix. The 35-year-old Carreira crashed Thursday at Fisherman's Bend at the Guia circuit. No other riders were involved in the accident. Organizers say two doctors went to the rider's aid and Carreira was taken to a hospital. He was declared dead about 20 minutes after arriving at the hospital. The qualifying session was stopped after the crash and later abandoned. Carreira raced for the Bennimoto Raider-Cetelem team.